The Best New Zealand blogs from thousands of top New Zealand blogs in our index using search and social metrics. Data will be refreshed once a week. Also check out Top New Zealand Youtube Channels list for Top videos on New Zealand. New Zealand newsletter is a comprehensive summary of the day's most important blog posts and news articles from the best New Zealand websites on the web, and delivered to your email inbox each morning. To subscribe, simply provide us with your email address. New Zealand About Blog Breaking news and videos of today's latest news stories from around New Zealand, including up to date weather, World, sport, business, Entertainment, Technology Life and Style, Travel and motoring. Facebook fans 764,577. Twitter followers 171,566. New Zealand About Blog A New Zealand site covering pop culture, sport, politics and social life through features, criticism, interviews, videos and podcasts. Facebook fans 74,636. Twitter followers 27,981. Facebook fans 1,148,044. Twitter followers 508,550. Wellington, New Zealand About Blog Our Changing World covers topics across all scientific disciplines, natural history and environmental issues, and developments in health as well as exploring the human side of science and the personalities behind it. Facebook fans 67,246. Twitter followers 23,804. New Zealand About Blog Scoop.co.nz is an independent news website reaching more than 500,000 readers a month. Scoop's focus is on publishing important political and local content rather than clickbait. Facebook fans 6,350. Twitter followers 14,601. Auckland, New Zealand About Blog Latest breaking business, finance and economic news and views from New Zealand's most popular independent site, interest.co.nz. Facebook fans 3,387. Twitter followers 1,382. Auckland, New Zealand About Blog Whale Oil Beef Hooked is New Zealand's number one news and information blog site where Cam Slater critically analyses politics and current events. Facebook fans 1,509. Twitter followers 7,875. New Zealand About Blog Marketing, advertising & media intelligence from NZ Marketing magazine. StopPress provides essential industry news and intelligence, updated daily. Facebook fans 2,546. Twitter followers 7,162. New Zealand About Blog Welcome to the Otago Daily Times Online, home of the latest Otago news. We will update breaking news LIVE to your feed as it happens. Facebook fans 55,423. Twitter followers 4,192. Auckland, New Zealand About Blog Happy Mum Happy Child was started in July 2014, to document the activities I did with my children. Since then it has grown into a community for Parents to share their ups and downs and have a good laugh (and the odd wine). Join me in my journey as a parent who struggles daily, with life and depression. Facebook fans 269,199. Twitter followers 1,452. New Zealand About Blog Welcome to REDnews, Westpac NZ's digital news source, delivering insights, opinions and practical, helpful stories from subject matter experts and well known New Zealanders. Facebook fans 69,312. Twitter followers 9,211. Auckland About Blog The very latest fashion, beauty, lifestyle & culture inspiration within Auckland. Facebook fans n/a. Twitter followers 87,973. About Blog Here you can find all the information related to new zealand. New Zealand About Blog Kiwiblog is the personal blog of David Farrar.I blog on any issue or thing I find interesting. Now this is mostly politics, but also quite a bit on technology and the Internet. Facebook fans n/a. Twitter followers 12,521. New Zealand About Blog The Daily Blog unites over 42 of the country’s leading left-wing commentators and progressive opinion shapers to provide the other side of the story on today’s news, media and political agendas. Facebook fans 10,300. Twitter followers 3,382. Auckland About Blog Greater Auckland is an independent volunteer-run analysis and advocacy platform for improving the quality of our cities. Formerly transport blog, we provide evidence based debate on urban form, transport, housing, design, and public space. Our aim is to foster a greater Auckland for all. Facebook fans 4,761. Twitter followers 8,753. Auckland, New Zealand About Blog Pundit is an online current affairs and culture blog hub—entirely Kiwi-made—offering you smart take on what matters in New Zealand and around the world. Facebook fans n/a. Twitter followers 2,981. Facebook fans 377,337. Twitter followers 89,020. Facebook fans 8,460. Twitter followers 5,893. New Zealand About Blog This site is an ecumenical site of resources and reflections for spirituality and worship, for individuals and communities. Facebook fans 19,264. Twitter followers 80,741. Facebook fans n/a. Twitter followers 1,699. Facebook fans 1,128. Twitter followers n/a. Auckland, New Zealand About Blog Petra and Shaun share stories from their travels around New Zealand and the world. We've got road trip itineraries, city guides, personal tales, and more! Facebook fans 1,046. Twitter followers 3,091. Facebook fans 457. Twitter followers 1,233. About Blog The Official Website for New Zealand Fashion Week. New Zealand Fashion Week, with collections from New Zealand's leading designers on show. Facebook fans 36,328. Twitter followers n/a. New Zealand About Blog Avatar is a New Zealand web design, web development, web marketing & SEO company based in Christchurch. We provide web solutions that deliver results. Facebook fans 874. Twitter followers 2,930. New Zealand About Blog The New Zealand Technology Industry Association represents over 300 tech companies, universities, polytechs and government agencies. Facebook fans 218. Twitter followers 4,206. Wellington City, New Zealand About Blog A Yorkshire Gal in Wellington. Lost in Silver Fern is a blog about Wellington through the eyes of an expat. Find tips for moving to New Zealand, advice about visas, insights into the city and tips for things to see and do. Facebook fans 181. Twitter followers 71. Buxton, Derbyshire, UK About Blog We are the New Zealand travel specialists! Find your ideal New Zealand holiday from UK, and also luxurious places to stay in New Zealand. Facebook fans 648. Twitter followers 182. Dunedin, New Zealand About Blog The official home of The Highlanders. See all the latest team news, fixtures and results. Plus join us on Facebook and YouTube for exclusive interviews & videos. Facebook fans 197,304. Twitter followers 50,874. Alexandra About Blog Wayne Perkins is a writer, blogger and published author. His unique style is insightful, humorous & topical. Facebook fans 798. Twitter followers 17. Auckland, New Zealand About Blog Read our range of blog articles for recent tips, advice and industry news on Search Engine Optimisation (SEO), AdWords pay per click advertising (PPC) and Google My Business (GMB) local search. Facebook fans 120. Twitter followers 113. About Blog You’ll find all the inspiration you need for your next getaway, from travel and well-being to food and wine. Auckland, New Zealand About Blog Chasing Cait is a Auckland-based personal styling business and everyday style blog helping you create confidence through style. Facebook fans 12,162. Twitter followers 643. Auckland, New Zealand About Blog Shared Kitchen is an ongoing collaboration between longtime New Zealand food personality Julie Biuso and upstart food blogger Ilaria Biuso. Facebook fans 736. Twitter followers 479. Wellington, New Zealand About Blog Chief Economist at the NZ Initiative. Adjunct Senior Fellow with the Department of Economics at U Canterbury. Facebook fans n/a. Twitter followers 3,420. Blenheim, New Zealand About Blog The blog deals with global affairs and New Zealand’s involvement in them. Frequent topics are the rule of international law, global governance, the East/West conflict and conflicts in the Middle East. Wellington About Blog Blog by Sarah, a New Zealand Travel Blogger who also enjoys good coffee and wine and exercise. Sarah Sees The World is my outlet as I dream of travelling the world full time and a space on the internet to inspire others in the same position to make the most of every trip. Facebook fans 348. Twitter followers 526. New Zealand About Blog This Blog is all about tips and findings as well as new developments from our experience, knowledge and years of experience within the Social Media, Advertising/Media and Marketing world. Facebook fans 904. Twitter followers 607. Facebook fans 711. Twitter followers 3,724. Wellington, New Zealand About Blog Obstacle Racers NZ (ORNZ) is your premiere resource for all things obstacle course racing and mud running in New Zealand! On the Obstacle Racers NZ website you will find: New Zealand's most comprehensive calendar of obstacle events New Zealand's most comprehensive news hub for obstacle sport news: obstacle course racing, mud running, parkour and freerunning, Ninja Warrior, adventure racing, and more. Facebook fans 1,750. Twitter followers 112. Hamilton City, New Zealand About Blog We are New Zealand best friends Nami and Pascale, creatives behind New Zealand fashion and street style blog Serendipity Ave. We created Serendipity Ave as an online platform of our daily inspiration and street style musing. Facebook fans 2,347. Twitter followers 176. New Zealand About Blog Cooper Interiors inspires homemakers around the world to style their haven with New Zealand’s best home interiors products and design services. About Blog This Blog is by a Wellington, NZ based personal Mum, sharing funny stories, family experiences, parenting advice, and travel tips with little monkeys. Facebook fans 121. Twitter followers 107. New Zealand About Blog The mission of the Hire Industry Association of New Zealand is to promote and enhance the integrity and visibility of the hire industry and the members of the organization through advocacy, communication, education and political action. Facebook fans 435. Twitter followers 43. About Blog Food, recipes, meal inspiration and stories from award-winning New Zealand journalist and food writer Lucy Corry. Facebook fans 680. Twitter followers 1,368. New Zealand About Blog The story of John and Sarah as they travel around New Zealand to explore the highways, byways, cycle trails and walking tracks in their Dethleffs motorhome. About Blog JMI Construction and Renovation Ltd is locally owned since 2009 specializing in new homes and renovations throughout the Canterbury and Southern Lakes. Facebook fans 525. Twitter followers n/a. Queenstown New Zealand About Blog The Queenstown Insider is a blog about all the best things to do in the adventure capital of New Zealand. Wellington City, New Zealand About Blog Food, travel lifestyle blog. Do MORE of the things you love! Facebook fans 30. Twitter followers 15. New Zealand About Blog New Zealand Awaits is New Zealand's LGBT travel specialist. New Zealand's LGBT tour operator, proudly taking care of LGBT travellers seeking exceptional and unique experiences in New Zealand. Facebook fans 681. Twitter followers 260. About Blog Ses & Jen Stylefiles is a fusion of fashion and fabulous interiors.We're lovers of all things interiors and fashion. This blog is our way of sharing all our favourite finds and current obsessions. Auckland, New Zealand About Blog RWA harnesses experience, energy & resourcefulness to deliver results for both clients and candidates. We like to call it Professional IT Recruitment Expertise. Facebook fans 1,314. Twitter followers 600. Facebook fans n/a. Twitter followers 108. About Blog Welcome to the official Air New Zealand YouTube channel!As the national airline of New Zealand, we operate non-stop services to more than 20 domestic destinations as well as to international ports in Australia, the Pacific Islands, Asia, North America, South America and the United Kingdom. Facebook fans 1,485,635. Twitter followers 641,327. Facebook fans 86,970. Twitter followers n/a. New Zealand About Blog Immigration New Zealand contributes to New Zealand's economy, society and reputation through the well-managed entry and settlement of people. Subscribe us to get helpful information if you are interested in living and working in New Zealand. Facebook fans n/a. Twitter followers 2,982. About Blog Welcome to Toyota New Zealand's official YouTube channel. Facebook fans 60,979. Twitter followers n/a. About Blog New Zealand is one of the world's best places to live and study. Discover more about studying in New Zealand & incredible lifestyle. The Study in New Zealand Youtube channel is the official Government site for advice on studying abroad in New Zealand. Search courses, universities, institutes, schools, student stories and living costs. Facebook fans 959,823. Twitter followers 36. About Blog Welcome to the official YouTube channel of New Zealand Police where you can watch videos about our work, news, campaigns and appeals. About Blog Videos from the New Zealand Labour Party. Facebook fans 151,996. Twitter followers 39,826. About Blog Greenpeace is the leading independent campaigning organization that uses peaceful direct action and creative communication to expose global environmental problems and to promote solutions that are essential to a green and peaceful future. Facebook fans 2,869,245. Twitter followers 1,701,613. About Blog Laura Laura is a lifestyle blog focused on creating a beautiful, simple and stylish life. Laura Laura is full of recipes, inspiration, DIY, cats, selfies, real life, friendships, happiness and most of all, love. Facebook fans 850. Twitter followers n/a. About Blog The Wairarapa Bush Rugby Union was formed in 1971 with the amalgamation of the Wairarapa Rugby Football Union and Bush Rugby Football Union. Facebook fans 5,682. Twitter followers n/a. Auckland, New Zealand About Blog We've rounded up the best money transfer services and apps you can safely use in 2018 and beyond. Read our reviews and comparison on fees, exchange rate, speed offerings and more. Facebook fans 650. Twitter followers 1. Auckland, New Zealand About Blog I'm Georgie, a 26 year old passionate foodie from Auckland, New Zealand. Check out my blog for Auckland eats, restaurant and cafe reviews, travel diaries and recipes! About Blog This is a blog about New Zealand fashion and street style. Facebook fans 1,073. Twitter followers n/a. About Blog The Wardrobe Blog showcases the best of NZ creative talent. Curated by photographer Katherine Ann-Marie Tuenter. UK NZ About Blog A terribly biased New Zealand rugby blog. Facebook fans 742. Twitter followers 1,290. New Zealand/Aotearoa Sydney About Blog Explore behind the spectacular scenery, discover the unique terroir of New Zealand's superb food, wine, people cultures. Facebook fans n/a. Twitter followers 1,277. New Zealand About Blog Building Networks NZ Ltd was established in 2000 by Rosemary Killip, and is recognised nationwide as a leader in building law compliance training. Facebook fans 262. Twitter followers 15. About Blog Enhance your health and vitality, boost your immunity, protect your family and support your overall wellness with Vitality® New Zealand. Auckland, New Zealand About Blog The 13th Floor is New Zealand's entertainment source, concert, album, theatre and movie reviews, photos, interviews, video sessions and more. Facebook fans 2,004. Twitter followers 1,122. Auckland New Zealand About Blog For more than Twenty years, Rural News Group has championed the cause of the New Zealand farmer, using a quality editorial team. Facebook fans 2,789. Twitter followers 2,847. Auckland New Zealand About Blog Your inspiration reference book for modern men style. Facebook fans 57. Twitter followers 15. About Blog Our aim is to keep informed of current issues and express a view on aspects of the construction industry. About Blog Our goal is to drive an evidence based self-medication market to generate safe and cost effective health solutions. The objective of our members is to provide better health for New Zealanders through development of responsible self-medication. New Zealand About Blog Your Department Store for the latest trends, styles and renowned fashion, beauty and homeware brands. Over 55 stores throughout New Zealand. Facebook fans 191,644. Twitter followers 1,656. 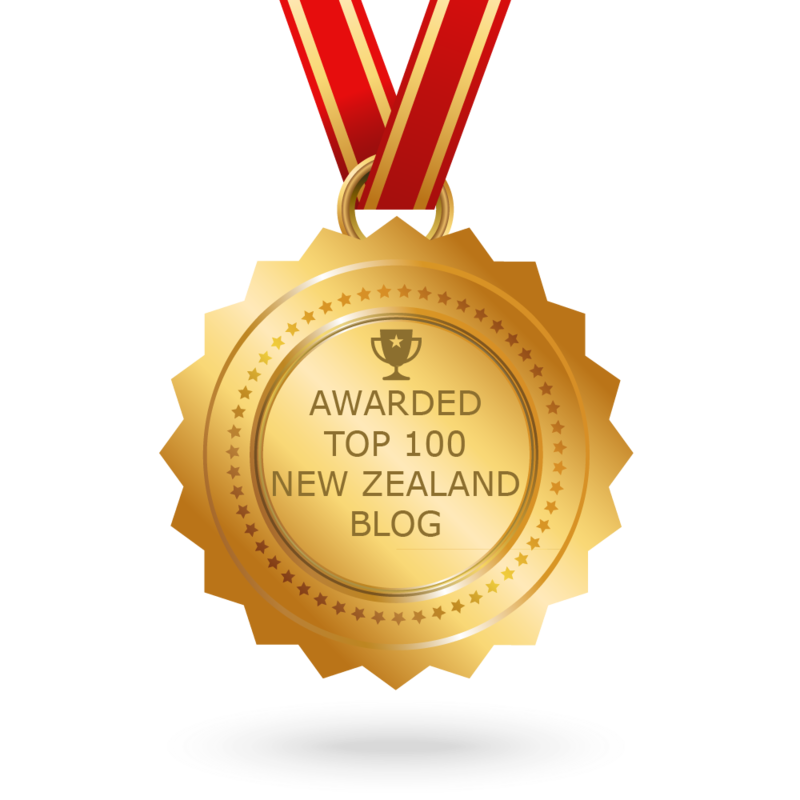 CONGRATULATIONS to every blogger that has made this Top New Zealand Blogs list! This is the most comprehensive list of best New Zealand blogs on the internet and I’m honoured to have you as part of this! I personally give you a high-five and want to thank you for your contribution to this world.